Jeff Robson is a serial entrepreneur who solely founded Access Analytic, a specialized consultancy that provides financial modelling & management reporting services. He regularly speaks at training events, conferences and seminars all around the world so is extremely passionate about solving problem issues for presenters. In this conversation, Jeff discusses Prezentt. Geetesh: Can you tell us more about Prezentt, and how you conceptualized this product. Jeff: There are over 30 million presentations delivered worldwide every day. Prezentt’s goal is to revolutionize all of them so that presenters and audiences get 1000%+ more value from these: more sales, more engagement, more sharing, more followers, more volunteers, more donations, etc. Prezentt amplifies them all. Prezentt is a live slide-sharing application that works on any device with a browser. It enables presenters to connect with their audiences precisely when the audience is most interested: during the presentation. It’s like eHarmony for presenters and their audiences and has been designed by presenters for presenters. Audiences get immediate access to slides, additional resources such as web links, other documents, and the presenter’s contact details. Prezentt also provides interactivity. You can ask questions of the presenter, provide feedback, request a meeting, take & share notes. 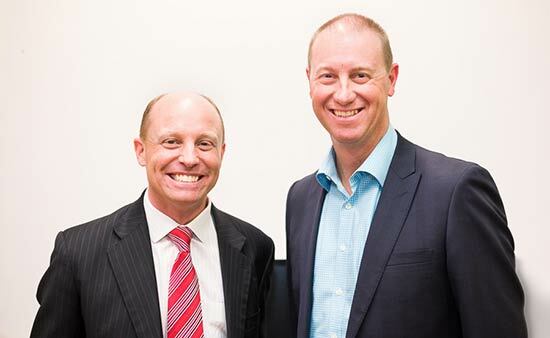 Prezentt recently won the prestigious WAiTTA Award that recognizes the best IT companies in Western Australia. We will now compete in the national iAwards that reward the best IT companies in Australia. The idea for Prezentt came about when I was doing a presentation for a group of about 100 accountants. I could see they were interested and engaged: they were taking notes, asking questions, and paying attention. Yet, when the presentation finished, I spoke to about 5 people, got 2-3 business cards and the rest of the audience walked out the door and I never heard from them again. I figured, “Surely there must be a better way to do presentations than this!” After researching for many months and not finding anything suitable, I discussed the idea with my co-founder, Justin Davies, and we decided this was a big problem that needed solving. Geetesh: Is Prezentt a product that is complementary to what everyone does using PowerPoint or other similar applications? Jeff: The great thing about Prezentt is that you don’t need to change the way you present at all. Before the presentation, you (the presenter) simply upload a PDF copy of your slides into Prezentt, but then give your presentation exactly as normal using PowerPoint (or any other presentation software you prefer). Prezentt makes your slides available to your audience as a series of images that can be viewed in any web browser on any modern device: phone, tablet or laptop. It enables social sharing of your presentation right when your audience is most interested, so your message goes out to not only the people in the room, but all their social networks as well. There are several options to enable your audience to find your presentation including: a short URL, search on the Prezentt website, or scan a QR code. Prezentt is the perfect solution for presentations of all kinds: conferences, seminars, business development, internal & external training, company meetings, investor presentations, lectures & schools, charity fundraisers, political rallies, church sermons, etc.